3x Optical Zoom-NIKKOR Glass Lens with NIKKOR optics providing exceptional pictures. The lens is built on a proud heritage of producing precision camera optics that deliver superb color and razor-sharp results. Incredible, Bright 2.5-inch High Resolution LCD makes it easy to compose and share your pictures. In addition, the high-contrast and anti-reflection coating on the screen assist in clear viewing, even in direct sunlight. Auto Adjusts up to ISO 2000 making new opportunities to take sharper, more natural-looking photos in lower light conditions. All New, Stylish, All-Metal Design that slips right into your shirt pocket or purse! Nikon Image Innovations include: In-Camera Red-Eye Fix™, which will automatically look for and fixes most instances of red-eye. You may never see red-eyes again, Face Priority AF is Nikon’s face-finding technology that quickly finds and focuses on up to 12 faces in a group portrait, and D-Lighting will rescue those photos that are too dark for printing by enhancing the underexposed areas of the picture while not touching the properly exposed areas. 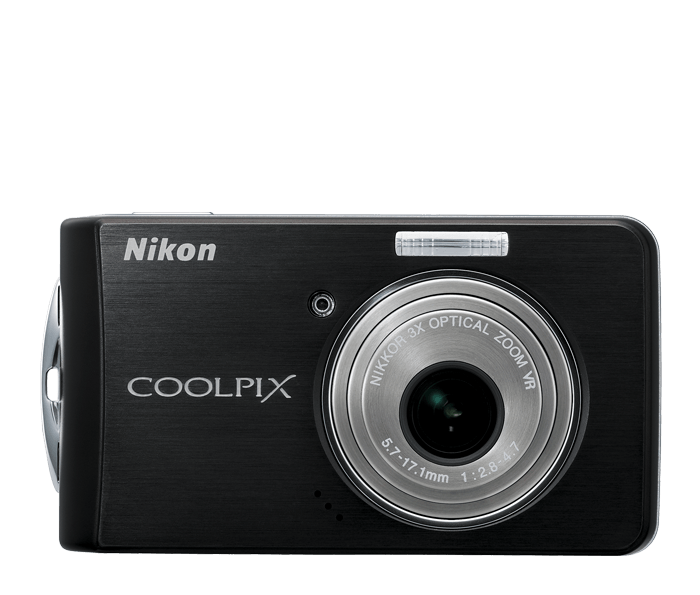 High Quality TV Movies with Sound is now just a press of a button away with your COOLPIX. Record TV-Quality movies with sound whose duration is only limited by the available space on your SD/SDHC card. Connect your camera to your TV and you have instant home-movies!